Jack Nicklaus 1993 27 72/36 7043 30 minutes from downtown. 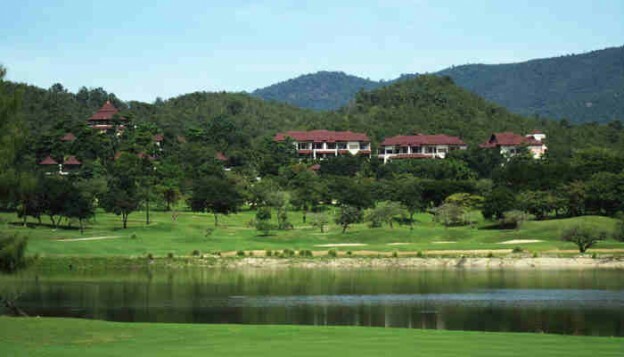 The Springfield Royal Country Club presents the golfer with a wonderful, 27 beautifully designed, landscaped holes – each challenges your senses of aesthetics as well as your golfing skills. A championship course with five sets of tees to play from, the Springfield Royal Country Club course offers varying degrees of difficulty that accentuate the dramatic lush landscape. Be prepared for some long carries if you are brave enough to play from the back tees. The facilities include a fully equipped Pro shop, chipping and putting greens and a driving range. The club house host luxurious facilities including a coffee shop and an excellent restaurant with Thai- and international cuisine.